More often than not, simple is best. 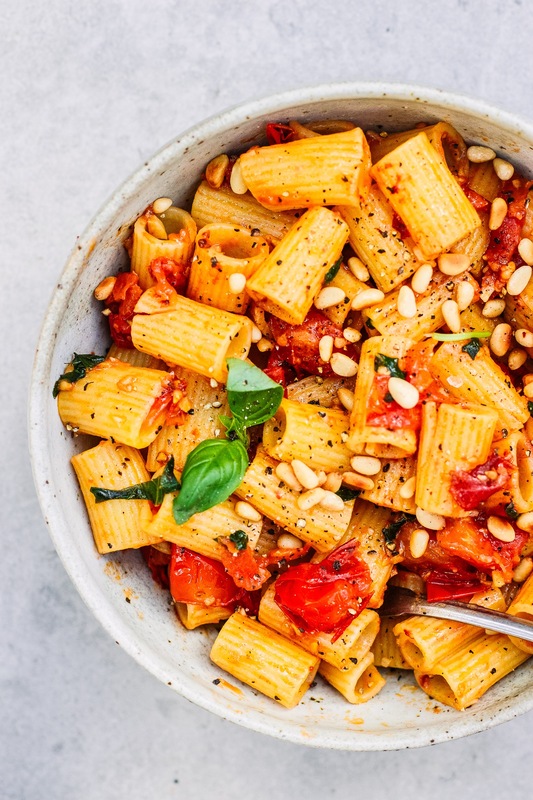 I call this lazy tomato garlic pasta because it’s so easy and quick, you can have it on the table in 15 minutes. Heaven. Add the olive oil to a pan on medium heat. Mince the garlic and add it in, cooking gently for a few minutes until fragrant but not browning. While it’s cooking, quarter half of the tomatoes. 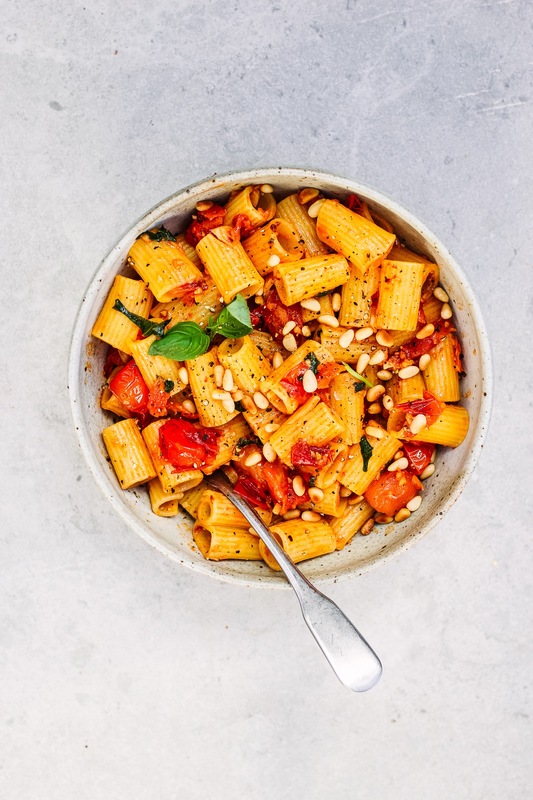 Add the chopped and whole cherry tomatoes to the pan and let them cook away, tossing often, for about 10 minutes- the pasta should be ready just on time. Add the pine nuts to another pan for toasting. Spoon 50ml of the pasta water into the tomatoes and stir through the fresh basil. Then drain the pasta. Add the pasta to the pan and toss through the sauce. Serve with the toasted pine nuts sprinkles on top and a generous sprinkle of sea salt and pepper.